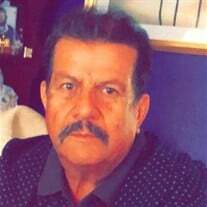 It is with great sadness that the family of Vicente announce his passing on Tuesday September 18, 2018. Vicente was born on July 19, 1950 he was 68 years of age. Vicente will will be missed by his family and friends. The family of Mr Vicente Vasquez Contreras created this Life Tributes page to make it easy to share your memories.